The following post continues to share the amazing work of Carl Von Marr. 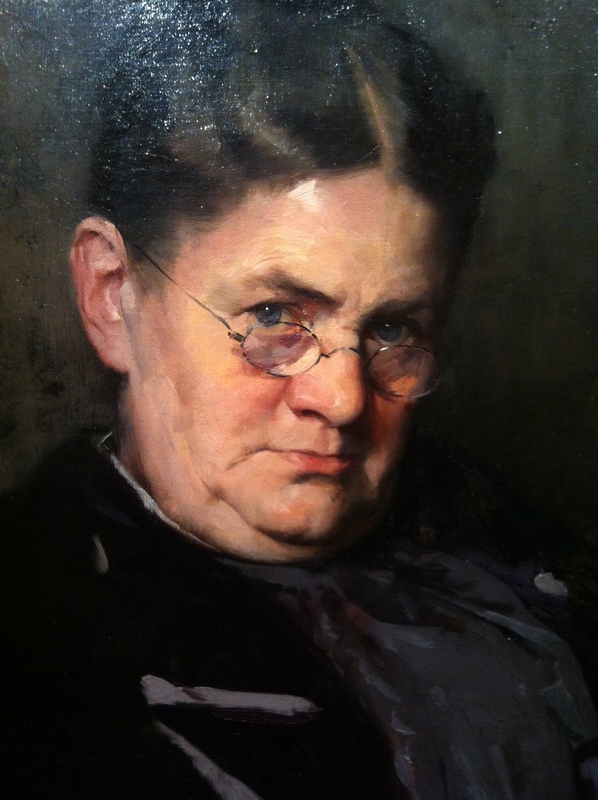 This portrait of the artist’s mother has always been a mesmerizing work to me. The draftsmanship impeccable, her glance loving , yet still the look of a parent keeping watch and the palette colorful, but still reserved. One aspect of this work that I noticed early on is the dark, rich value of the shadow pattern that starts in her left eye socket and is connected down along the nose to the mouth and chin. This value is nearly as dark as the darkest dark. So often in teaching, I find that a students reticence to go that dark in the shadow on the face often kills the work before it gets off the ground. It is so important to get the initial values accurate right from the start. Squint and ask yourself, what is this value, and most importantly, how does it compare to the extreme darks. Another exquisite, tender work of Carl’s father. Notice how the darkest darks of any given value range always end warmer than the adjacent tone. The photos above are details of the full paintings which I hope to show on a subsequent post. These two works, perhaps more than any others, have been enormously inspiring to me over the years… I hope they resonate with you as well. Thank you Carl. Enjoy! 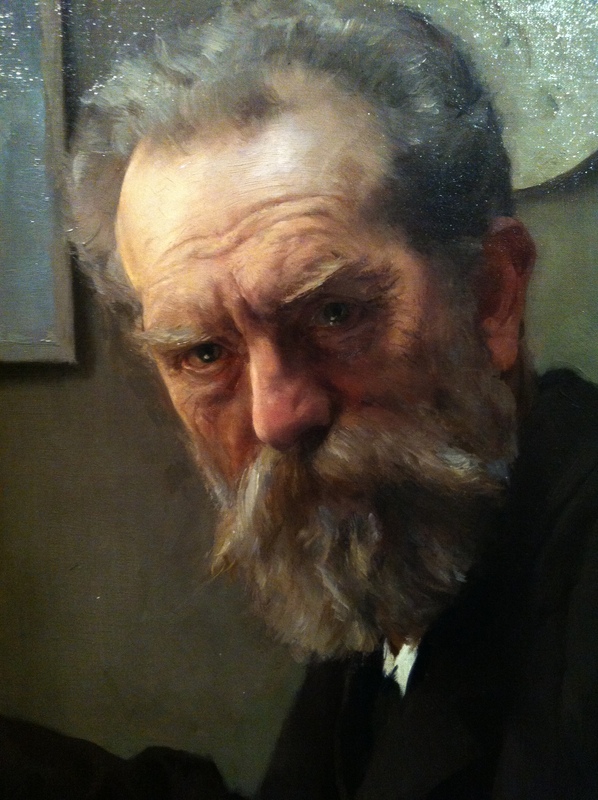 This entry was posted on Tuesday, October 4th, 2011 at 9:57 pm	and tagged with how to paint in oils, oil painting instruction, oil painting techniques, painting faces, painting portraits and posted in Carl Marr, Copying the Masters. You can follow any responses to this entry through the RSS 2.0 feed. Call me crazy, but there’s something about the way certain areas are handled, the skin and around some features of the face I think, that say Rockwell to me. Mom, I mean, not Dad so much. Truly amazing and stirring examples, and your insights are invaluable. Thanks. These are truly inspiring portraits. Thank you for the post and your insights. Really good work! Where online can we see more work? I Googled without much luck.